Incredible Marketing uses content marketing to help Dr. Birchall of Dermacare increase patient inquiries to 600 per month. Located in Carlsbad and San Diego (Rancho Bernardo) and led by Dr. Jeff Birchall and his team of 20 employees, Dermacare Laser and Skin Care Clinics specializes in cosmetic rejuvenation and restoration of the face and body. A savvy marketer himself, Dr. Birchall asked us to help him develop a content marketing program that would embody his years of experience as a family practitioner building long-term relationships with patients. So we put together a strategy that would help Dermacare discover new patients from search, promote new content to new audiences on social, and build long-term loyalty by satisfying patients’ informational and emotional needs with content. Since we started blogging for Dermacare in 2015, we’ve accrued 10,635+ pageviews to blog posts alone and over 1,000 new subscribers to our newsletter. Total two year traffic growth from our content marketing efforts, including referral, social, direct, and organic, rose to above 52,000 visitors in 2016 alone – a 24% increase from when we started. Today, between calls and website form submissions, Dermacare fields roughly 600 new patient inquiries a month. 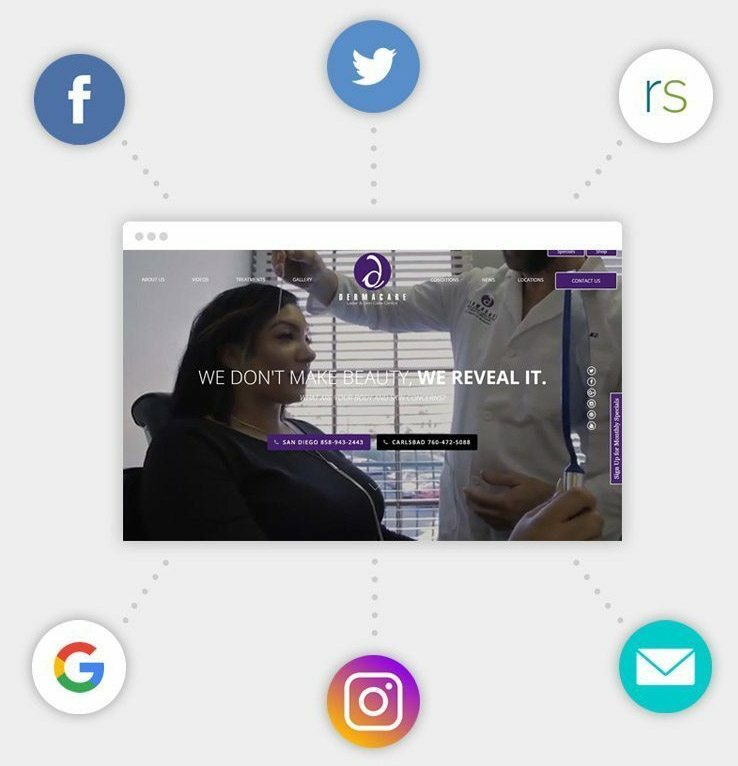 With a unified content marketing strategy that incorporates social media, SEO, blogging, reputation management, email marketing, and website development, and that provides Dermacare with multiple sources for finding new patients, they’ve successfully resurrected walls against the competition in their market. Schedule a one-on-one for marketing tips, competitor insights, exact pricing, expected timeline, and more.